Because every little thing that can help us deal with traffic is worth a download. 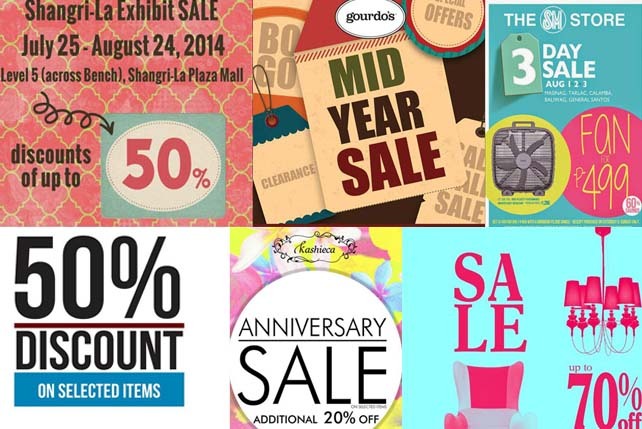 (SPOT.ph) Living in Manila can be stressful. The traffic is horrendous (good luck trying to find an alternate route that isn’t as jammed), you’re always squeezing into places, and trying to find that elusive street sign is practically a sport. It’s an achievement to get anywhere on time during rush hour, even more so when it’s pouring. As an update to our previous article, we’ve rounded up a list of additional apps that may help you navigate the city’s chaos. Got a recommendation? Let us know in the comments section. The MRT is supposed to be an easier and faster way to get where you need to go. In an ideal world, the train arrives on time, there’s room for everyone, and you get to your office within an hour, tops. Alas, this is Manila and if you’re going southbound at 8 a.m. on a Monday, we wish you all the luck in the world. 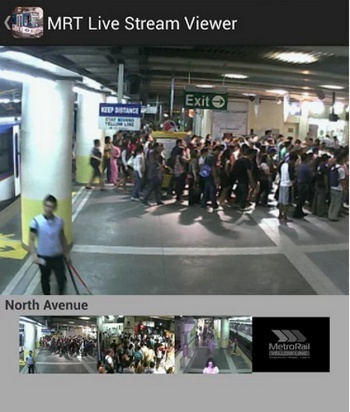 Fortunately, the MRT Cam app lets you view different MRT stations via their CCTV cameras in real time. At least this way, you’ll know if you’re better off taking the bus. In this city, we’ve all asked the same question: "Why isn’t there a cab around when you need one?" On the off-chance that there happens to be an available cab, it’s another story to actually get into the vehicle: you’re negotiating fares, debating which route to take, and sometimes, losing all dignity and just begging the driver to take you home. 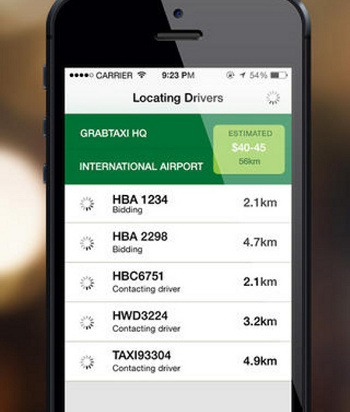 The technology gods have heard our prayers and bestowed GrabTaxi upon us. After booking a cab, you receive details like the driver’s name, the plate number, the estimated time of arrival, and even an estimated fare price. Be prepared to shell out an additional P50 to P70, depending on your phone’s service provider (Read: SPOT.ph Roadtest: Taxi Apps in Manila). This award-winning app is a community-based trip planner where users can share weather, traffic and commute-related incidents in real-time. Users enter their origin and destination and the app recommends one or more transit routes via bus, train, and on foot. (It includes estimated fares, too!) 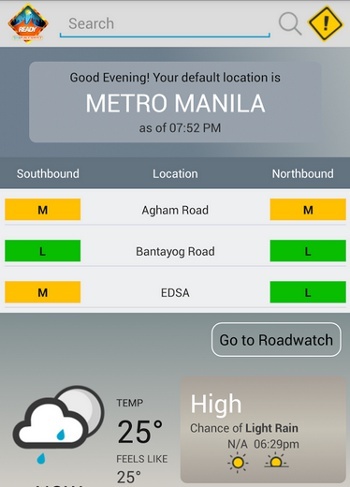 Once you’ve picked a route, the app provides you with traffic reports, weather updates, and road incidents that you might encounter along the way. It even has a "point of interest" option, in case you’re hungry and you’re looking for the nearest Jollibee branch on your way to work. 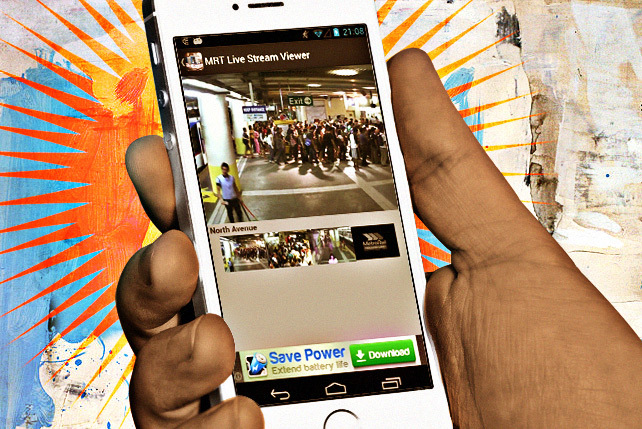 If you live in the outskirts of Manila, there’s an app for you, too. NLigtas is the NLEX’s answer to your commuter problems. 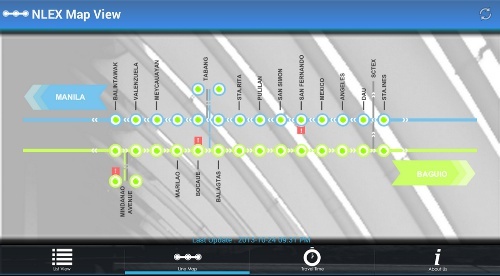 It provides motorists with real-time information on the traffic conditions covering the whole stretch of the NLEX and will be expanded to cover upcoming extension projects. The NLEX Traffic Control Room also sends out travel advisories, just in case there’s road work. No matter how frustrating city life gets, safety should always be the number-one priority. Keep your car doors locked, memorize license plate numbers, and always stay alert. Oh, and Yank might be able to help, too. The app alerts your emergency contacts with your GPS location via text or email when you yank the headphones from your mobile device. 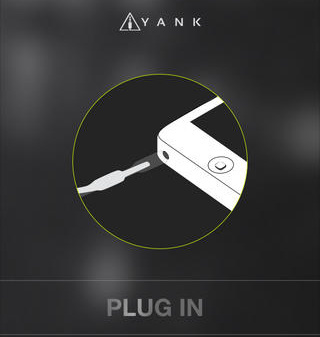 Don’t worry about accidentally pulling your headphones; the app has settings to avoid a false alarm. Gone are the days when you need WiFi or a decent data plan to find where you need to go. While the Android and Apple versions are from different developers, they both get the job done: a 100% offline map of Manila detailing its complicated streets. 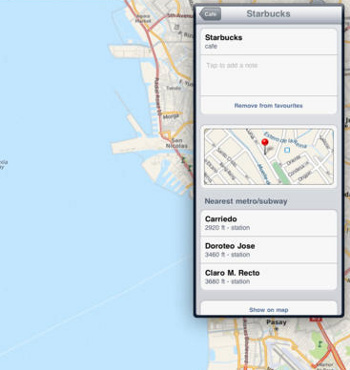 The Apple version provides offline directions by car, bicycle and foot, while the Android app has a multilingual interface that’s perfect for tourists. How would you like to get to your destination in utter comfort and style? We know we’d like to get from point A to point B without looking like we just forcibly squeezed ourselves in and out of the MRT. With Uber Manila, there’s no need to fumble for the exact amount because the app automatically (and safely) charges to your credit card and emails your receipt. All cars and drivers undergo a thorough background check and as soon as you’ve booked a car, you’re provided information on the driver and ratings from previous passengers. 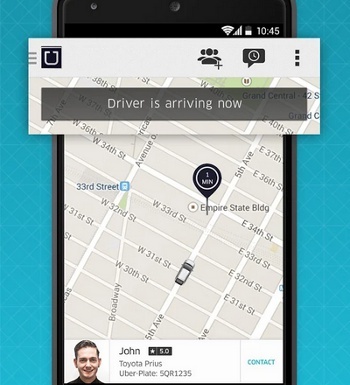 Uber charges a base fare of P40 plus P2.10 per minute and P5.70 per kilometer. With GMA Network’s IMReady program, everything you could possibly need in real-time is at your fingertips. (Weather, traffic, floods, class suspensions, oil prices, just to name a few.) The system integrates information from the Weather Company, Project NOAH, PAGASA, MMDA, and Waze-all in one app. You are literally ready for everything. If you’re the type to rely on Twitter for traffic updates, you’ve probably experienced wading through irrelevant tweets and stories or the unreliable hashtag on your timeline. 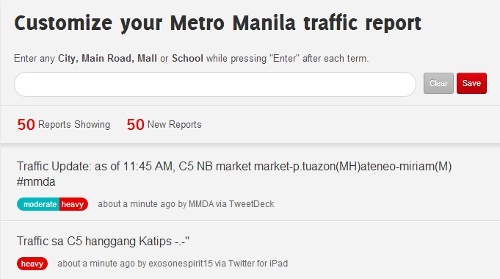 Traffic Dito keeps it simple: Enter a specific street or location and you instantly get up-to-date information from Twitter. Think of them as your friends who helpfully whine about their hellish traffic situation so that you don’t have to. 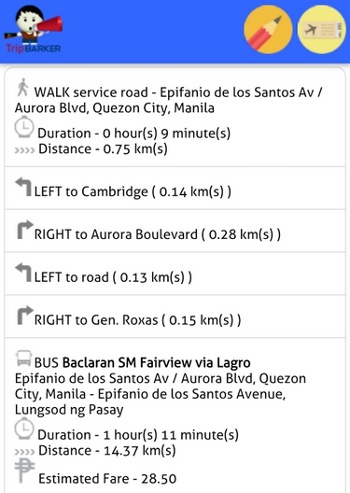 Navigate Manila with a little less headache, thanks to Go! Manila. 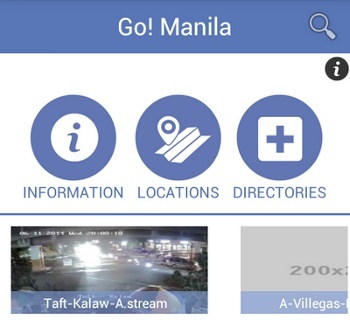 The app gives users instant access to high-definition CCTV cameras around the metro and the exact locations of precincts, hospitals, and other concerned agencies. It even has an updated directory for emergency numbers. 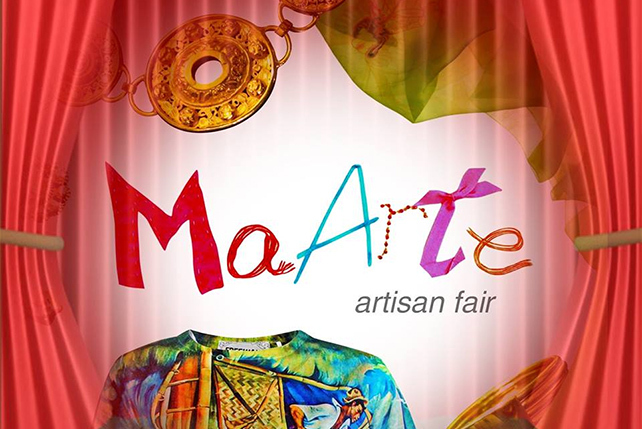 The downside is that the app is limited to the city of Manila only.